Welcome to Malin and Jack's wedding hotel room block. For your convenience a discounted group of rooms is being held through August 29, 2018. In order to book your room please contact Andrea Freeman Events and we will walk you through the process. This will keep the entire group organized and help us plan wedding weekend activities! Please note that a 3-night minimum applies to secure these special rates and extended stays can be accommodated depending on room availability. Take a peak below to check out the room types available and when you're ready to book or if you have questions please shoot us an email using the button below. 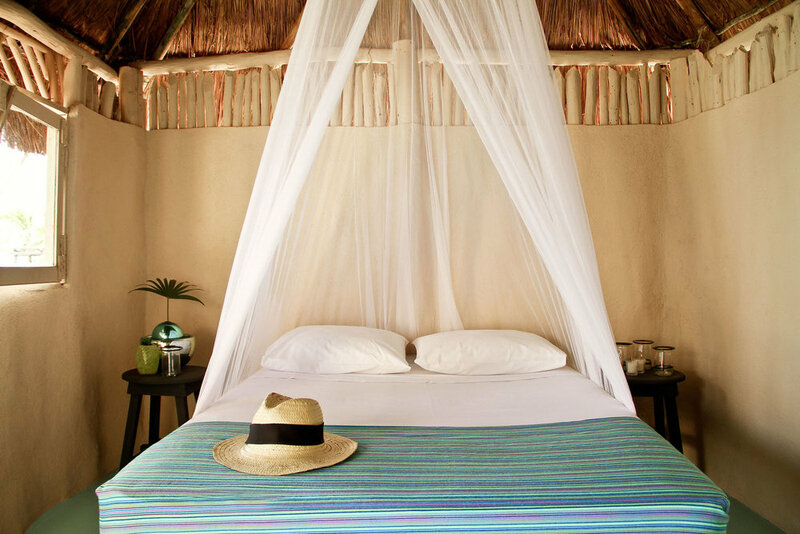 Oceanfront Casitas are located just meters from the ocean. 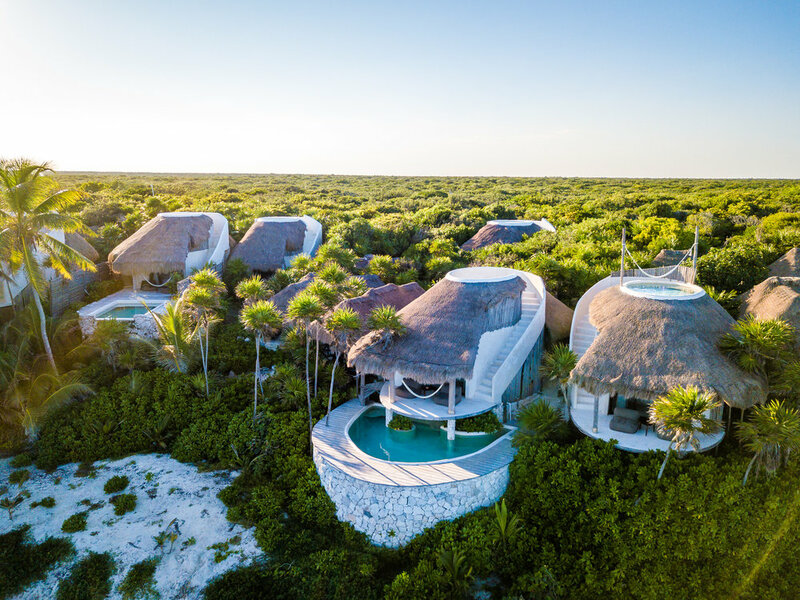 They are some of the Riviera Maya's most unique accommodation offerings and should not be overlooked if natural luxury with sophistication is what you are looking for. These fancy units are fundamentally down-to-earth constructs – made of locally sourced and low-impact materials; shaped and equipped to sustain the excesses of natural forces typical of the coastal area and tropical climate; styled very much in accordance with the native tradition of vernacular architecture. 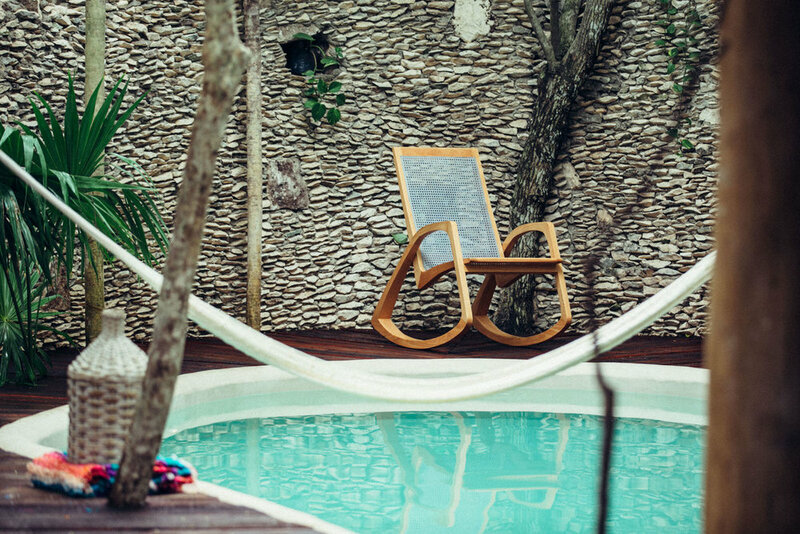 We hope you are getting excited and we're here to help you book your room so you can come celebrate with Malin and Jack in Tulum. Please click below to begin the booking process! Cancun (CUN) is the closest airport to Tulum and the ride from Cancun to Tulum is about 2 hours. Once you book your flight into Cancun please let us know and we will help you arrange a shuttle from the airport to the hotel.